Uluwatu wave now have an inspirational Tattoo. Billy Lawrence from @blockbusterink talkes us about is last creation - The Uluwatu Tattoo. So explain us what is that tattoo of Uluwatu Wave? Why you made it? The biggest wave i've ever seen in Bali for sure is in Uluwatu, maybe in Asia. 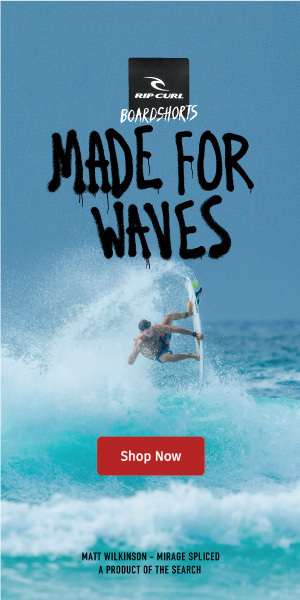 extreme and it's perfect for professional surfers. I made it because surfer, wave, beach and tattoo are all related. Almost every surfer got tattoo and now everythings come into one piece of art! Surfing is challenging is freedom, once you in the middle of the sea you feel free. Need lots of falls before you can stand on board, and when u get up you will feel the freedom and satisfaction. About your work, what is your background on design and tattoing? I follow my father legacy as a tattoo artist and i finished my master degree as graphic designer and been drawing my whole life. I like drawing and wanna put my art to someone to remember rest of the life. And tattoo also is challenging because everyday i meet people with different idea and tattoo needs. so everyday tattoo won't be the same. So it's fun. Where people can find your work and they want to make a tattoo? Their can search on my Web blockbusterink.com, my instagram @blockbusterink or come by to my shop at double six street. Anterior The Jakarta mass media gathered in Bali to learn how to surf Próxima SIMEuLUE PRO FROM ACEH PROVINCE INDONESIA CONFIRMED!